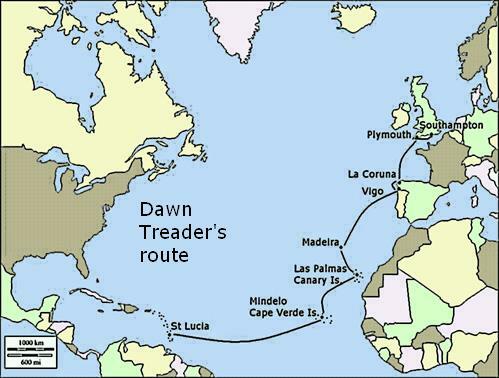 The Trident 24 has a remarkable record as a cruising boat with yoyages to the West Indies and Spain, many transits through the European canals to the Mediterranean and hundreds of Channel crossings to France and the Low Countries. Over 50,000 miles of adventurous cruises by Trident owners have been chronicled in the TOA Newsletter Trident News over the years. 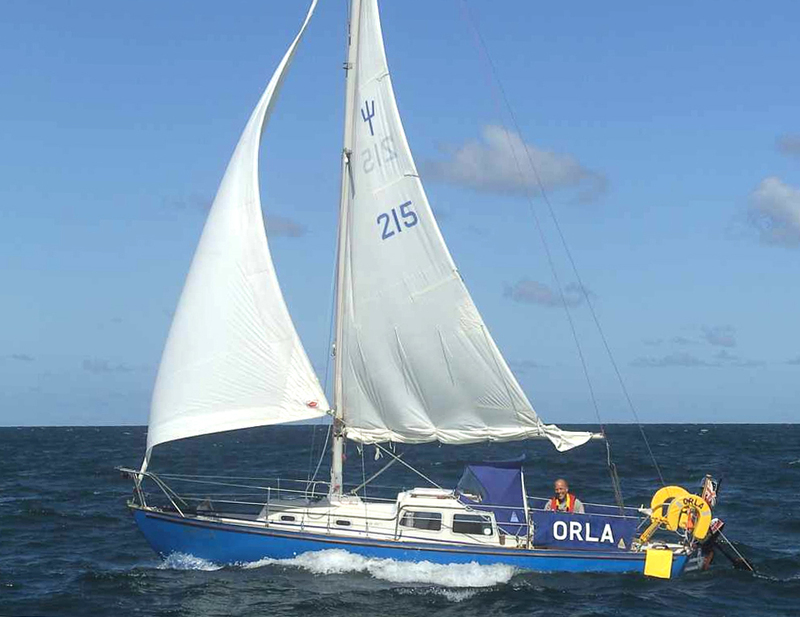 One TOA member alone has sailed his Trident more than the 24,000 mile circumference of the Earth, crossing the English Channel over 100 times. Many of the logs in the TOA cruising archive are now being made available again through this website. 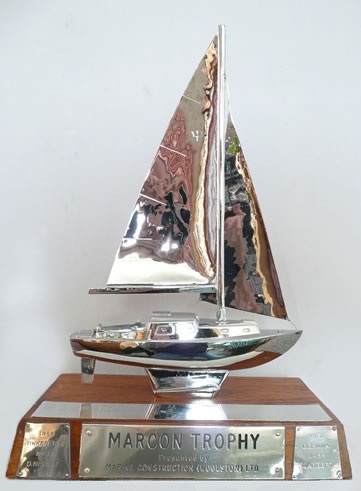 This remarkable record of cruising aboard Tridents has been encouraged over the years by the Marcon Trophy, an exquisite silver reproduction of a Trident 24, presented to the TOA by Eric White, the builder of the Trident and founder of Marine Construction. Awarded every year to the most interesting log submitted of a Trident voyage, the 38 winning logs so far submitted cover in excess of 15,000 sea miles. Fifteen of the original winning logs are now available here online and more will be added soon. There is also an account of David Rudling’s crossing to St Lucia in Dawn Treader, the fin keeled Trident No 173, and the remarkable history of ‘Mitch’ and Audrey Mitchell and No 67 Roamer which has undoubtedly has had more sea miles pass under its bilge keels than any other Trident afloat.